It’s a long, long way from Georgetown, South Carolina, United States of America, to Tan An, Long An province, Republic of Vietnam — both figuratively and literally. I figure at least 10,000 miles, maybe more, and lots of fear, anxiety, courage, and prayers along the way. This memoir is about my time “in country,” as the GIs called it, and my experiences there. I learned that most of the news that was reported back in the States was fiction; I discovered for myself what the true nature of war was, as described in many texts before my time by other soldiers as “hours of boredom punctuated by moments of terror,” and I came to appreciate our heroic efforts to help the people of South Vietnam resist communism — perhaps somewhat flawed in execution, but noble in purpose. To all of us who took part in this great adventure, and especially to those real heroes whose names are carved on the Vietnam Veterans’ Wall — and in their comrades’ hearts — this is for you, GI. 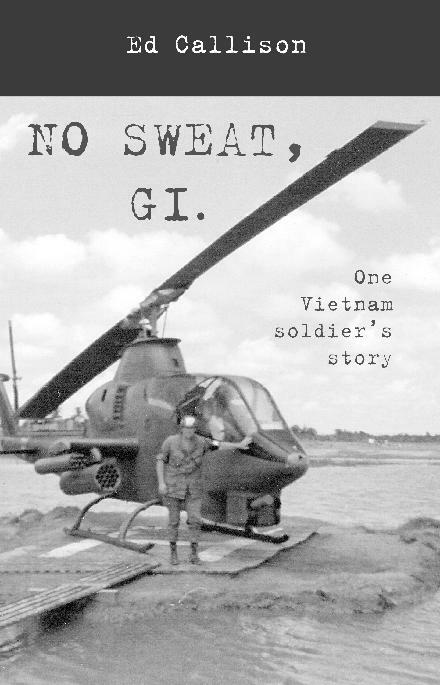 You can order Ed’s Book NO SWEAT, G. I.